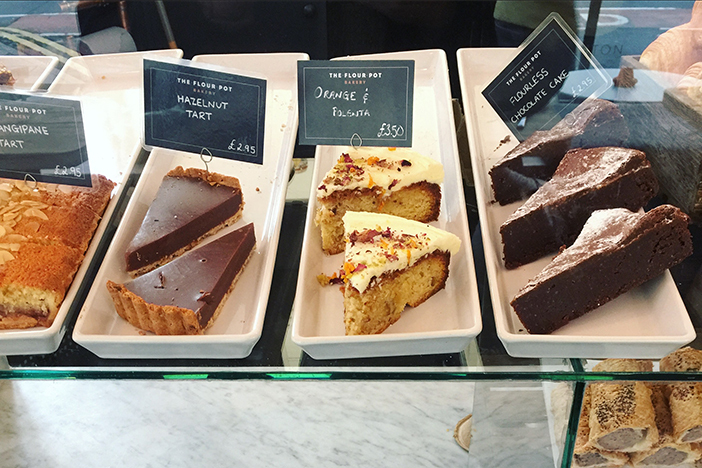 The Flour Pot Bakery’s latest Brighton coffee shop, which opened in Seven Dials last month, is small but perfectly formed. With its mission to “bring the community bakery back”, and its clean, minimalistic interior, this café is a welcome addition to the buzzing area’s collection of independent shops and restaurants. The large number of people popping in to pick up a loaf of bread or meet for coffee belies the shop’s size. From marmalade sponges to gooey chocolate tarts, there’s something to satisfy every sweet tooth. And for those seeking a savoury snack, look no further than the hot sausage rolls, complete with wonderfully buttery pastry. The vegan Moroccan version, packed full of nuts and spices, is even better. 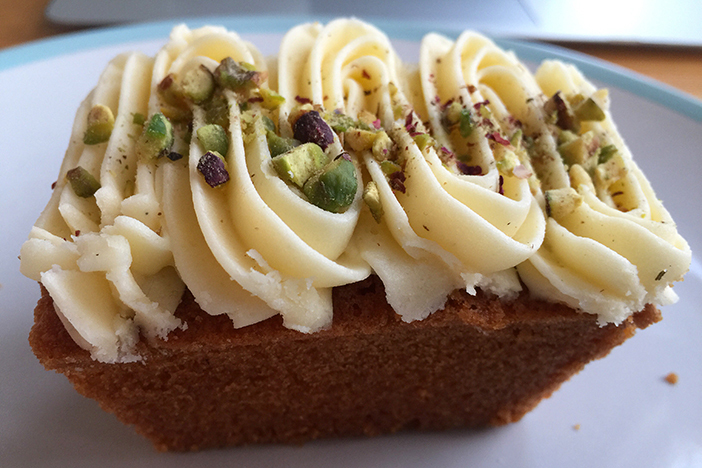 If you have any room left, try the rose sponge (pictured above) topped with swirls of butter cream and crumbled pistachios with a surprise dollop of lemon curd inside.